The key to this recipe is the marshmallow creme. It creates the perfect creamy rich texture. Make a batch and then wrap up fudge squares for a thoughtful homemade gift. Stir together butter, sugar and milk in a heavy 3 quart saucepan. Bring to full boil, stirring constantly. Boil 5 minutes over medium heat or until candy thermometer reaches 234 degrees, stirring constantly to prevent scorching. Remove from heat. Gradually stir in chocolate until melted. Add remaining ingredients. Mix until well blended. Pour into greased 13"x9" pan. Cool to room temperature. Cut into squares. Makes about 3 pounds. 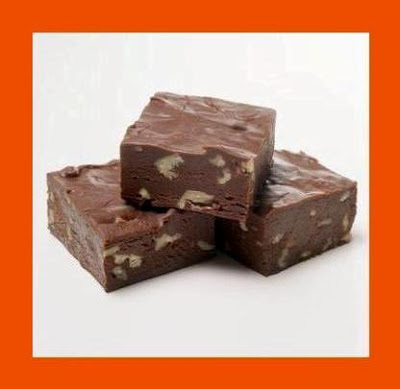 For Peanut Butter Fudge: In place of chocolate chips, use 1 small jar smooth, crunchy or extra crunchy peanut butter. If you can get them, Nestle peanut butter chips are easier to use than a jar of peanut butter - it can get quote messy!